The perfect gift for shark lovers of all ages! 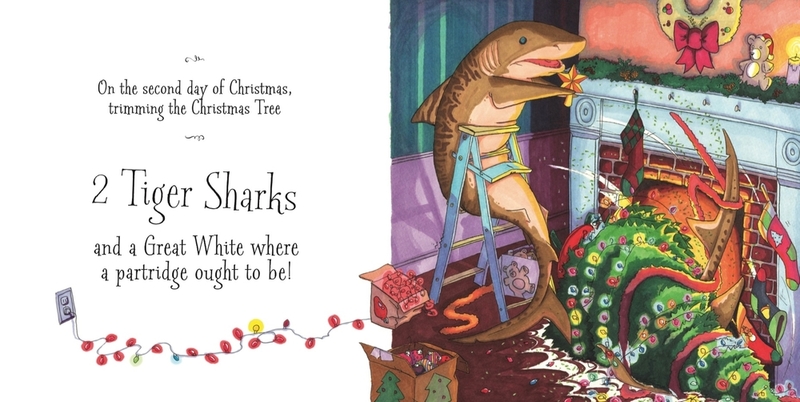 A tail of 12 different species of shark, takin' a crack at deckin' the halls! Flip through the delightful, hand illustrated pages, and bring home a brand new Christmas tradition! Promising shark toothed grins for years to come. 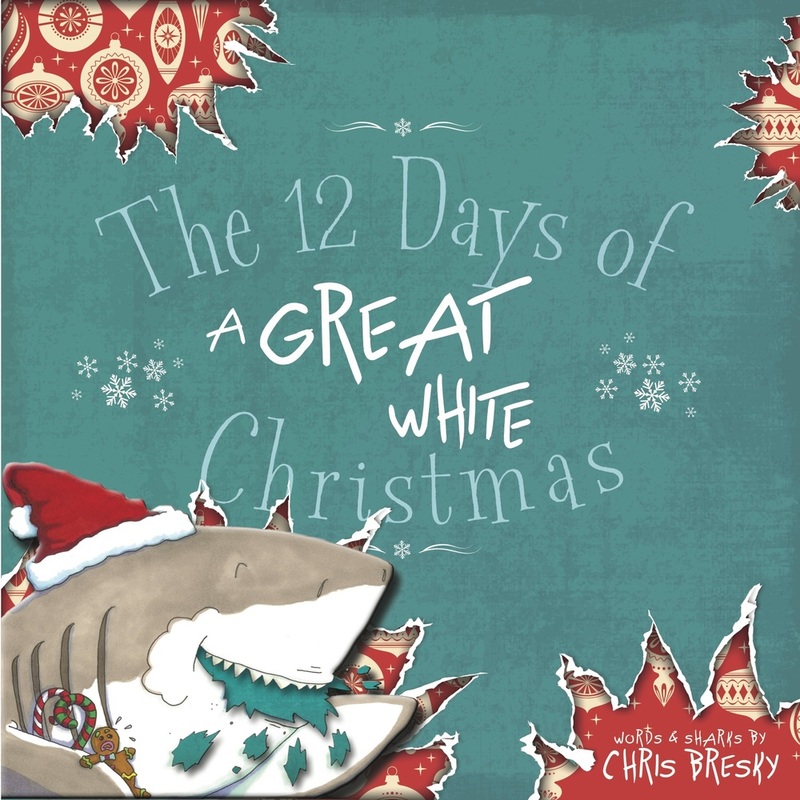 Sing a long with the old 12 Days of Christmas song but with new "Great White Lyrics"
Just like us, sharks aren't always the best at "decking the halls." Each scene hand illustrated by an artist who loves sharks just as much as he loves making you laugh! Nothing good can come of this! Learn more about each of these sharks you just sung about in the Holly Jolly Shark Fact section!